When Nintendo's upcoming 3DS XL was first revealed to the public a few weeks ago, most gamers had one question: Where the hell is the second analog stick? It only seemed natural that the 3DS's successor would ship with a right thumb-stick to accompany the left one. After all, a dual-joystick setup is typically the best way to control both a character's movement and a moving camera. And Nintendo released a stand-alone 3DS accessory called the Circle Pad Pro to accommodate controls like that. Most gamers assumed it would be an integral part of the system's next iteration. 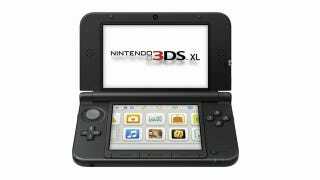 When we looked at the design of the 3DS XL, we had to look at various factors. One was battery life. One was the overall size of the unit. And we had to make some trade-offs. The choice, if we were going to include the second analog stick, was to reduce the size of the batteries or make the unit much bigger. What we wanted to do was have a bigger screen in comparison with the overall size of the system, so we had various discussions and had to make trade-offs, and this is the outcome. Attaching a second analog stick is possible, but it would have made the system even bigger, and, though it perhaps puts a burden on people that really want that second stick, it's a call we had to make and these people will have to live with it. This [the lack of a second stick] isn't my main focus when I look at the 3DS XL, it's one point we had to cover, but for me personally I'm quite happy with the product we're able to offer. So, now we've created the 3DS and 3DS XL and also have some games out there that are really using that 3D effect that we can see, from my point of view, that it's an important element. But as human beings, this kind of surprise effect wears off quickly, and just having this 3D stereoscopic effect isn't going to keep people excited. But I think it's an important element. It makes graphics more impactful. It proves a sense of immersion that 2D doesn't have. So I would say generally that 3D is better than 2D. It's nice to have good graphics but not necessarily on their own, so I don't think we'll present [3D graphics] as one of the key features of our consoles but will probably stick with 3D as one of the minor elements of our consoles in the future.